Okay, so I’m sat on a train trying to mind my own business. I’m sat with other people that all know each other: a mum, a daughter and what appears to be a family friend. Now, anyone who knows me knows that minding my own business is not exactly a forte, I love to take part in conversation but I was feeling a little tired. Well, that was until the daughter tells her mum that her sister and brother-in-law still do things like remind each other: oh, you still owe me for that burger two nights ago or that meal last weekend. “Are they married?” I suddenly butted in and the daughter laughed, “Yes, and they still operate all their finances completely independently”. The train was coming to a stop so I didn’t get to dig in deeper except for the fact that they didn’t even own a joint bank account for household expenses. As I walked off the train I started thinking about what my mum told me: avoid stingy men – they’re not only stingy with their money but they try to control how you spend yours or make such strong value judgments about the way you spend that it causes a lot of bickering. My mum is a smart gal. Firstly, the first days in business will be hard and if your husband is tight he won’t be keen on supporting you when you have a bad month. Even imagining the type of harsh things he’ll say can give you cold feet over starting a business. Secondly, your business decisions are likely to be driven by his opinions rather than good business sense. For instance he may see marketing as a waste of money when it’s absolutely necessary to capture sales. Overall, a stingy man will just make running a business less enjoyable. The risks involved are already nerve wracking – anything worth doing will make you nervous – and having a constant force around you that is not supportive will make you feel like pursuing your dream of a business is not worth it. If you think you’ve got the entrepreneurial streak and identify that your man is stingy before you marry him, then this is one of those instances when I’d agree with my mum and say: run girl run. You deserve better! That man will kill your business before it even starts. Without the moral support of my husband I would be nowhere. Yes, you can build a booming business despite negativity around you but why should you have to? Morning Heather :) The video isn't working. Hi Heather, this is very true. Many a times we fail in doing business because of the negativity from our spouses. 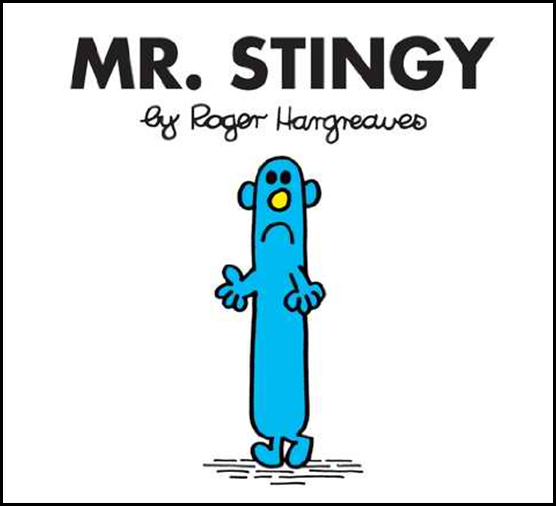 Stingy people are controlling people who have a fear of losing control. Marriage should be a partnership working together for the better of the relationship. Great advice! So if you already are married to one, what do you do?